Georgie Porgie is based on one of the most iconic nursery rhymes ever written. It follows Georgie, who is a less than dashing lad, bless him, in his quest to get bag himself a girlfriend. Unfortunately for Georgie, he always aims the bar too high when it comes to women, which often lands him in hot water with the cooler kids in the school. The slot brings together the 5 reel, 15 payline game that many of the smaller bankrolled players will likely appreciate. It includes the gamble feature as well which makes the essentially low payout but frequently paying slot more appealing. Also on offer is a free spins game, a wild and a scatter symbol to help you win a decent chunk of money. A really original theme like this is commendable in what is often a very saturated market. 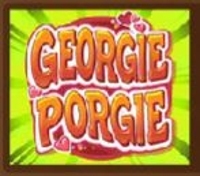 Georgie Porgie brings a sense of humour to the table and allows for a decent tongue in cheek sort of slot. It’s not the best graphically and probably isn’t one that you are going to call your favourite, but it’s one that we would recommend, especially for those of a certain age – such as ourselves. We should make you aware that the maximum jackpot you can win here is a whopping 975,000 coins. This sizeable jackpot comes from the gamble feature that many Microgaming slots now entertain. It’s a simple enough feature; once you have a winning payline you get the choice to bag your winnings or gamble them. If you choose to gamble you will be greeted with two options of either picking the colour of the next card or the suit of the next card. The colour pays double your winnings and the suit will pay quadruple. 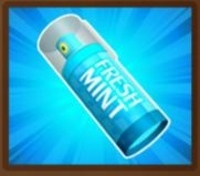 The free spins symbol is the Fresh Mint breath spray and you need three or more to activate the game. Three will get you 15 spins, 4 gets you 20 spins, whilst 5 will get you 25 free spins. All free spins in the game will be multiplied by 5 and for each free symbol that lands within the game you will receive an additional free spin. 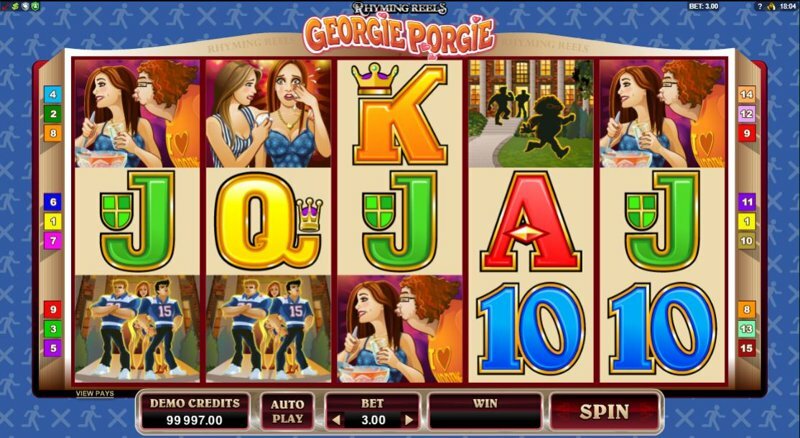 The wild symbol is the Georgie Porgie logo and this substitutes all symbols apart from the free spins symbol. When this symbol is used in the free spins feature then you will be awarded 25x that winning lines payout. In regular play, every time the wild is used for a winning payline it will pay out 5x that amount.